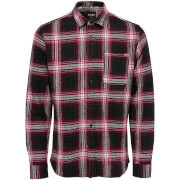 Men’s ‘Persuader’ check shirt from Brave Soul. Crafted from woven cotton, the check shirt is detailed with a chest patch pocket, a central button placket and a pointed collar. 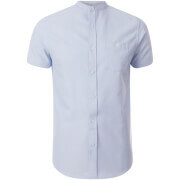 Complete with button cuffs, a curved hem and an internal chambray lining around the neck.